What is the future of innovation and creative thinking in Australia? 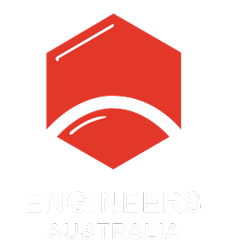 Day 3 of the Australian Engineering Conference saw a range of visionaries share their big ideas that could pave the way for our prosperous nation. Here are some of the ones that excited us the most. The UOW team is designing a home that is adaptive to a person’s needs as they continue to age, creating “a house for life”. Ryan and McDowell’s big idea is to inspire building industries across the globe to construct houses that are stylish, affordable and sustainable while meeting the needs of an ageing population. Picture this: a beautiful bay with pristine blue waters – and then steaming in is a ferry belching smoke and noxious gases. Symington wants to repaint this picture by changing to electric ferries in Australia. Norway is already doing this and uses a floating powerdock to fast charge the ferries. Australia also has an abundant supply of aluminium, which could make it a leading exporter of clean, lightweight electric ferries. Admiral Barrie told the panel that many entrepreneurs with big ideas end up leaving Australia because of the difficulty they experience in securing funding for their projects. American bankruptcy laws, he explained, offer more leeway for startups to fail, making people less risk averse and creating a financial landscape more conducive to innovation. Nicolas hopes to reduce welfare spending by creating a fund that recipients could buy into at a low cost. He calls it the One Dollar Club, and believes that an investment of $1 per week could produce a total benefit of $330 million every year. This would not only provide benefits with funds, he said; the fund could also invest in infrastructure projects, providing employment and act as a bulk buyer of goods or a counterweight to political pressure exerted by big corporations. “My big idea is to throw out our current system of government and start again,” Simson told the crowd. She is thinking big, but her focus is small: she believes that technology can be used to connect and reorganise local groups of people to give people more control over the communities in which they live and work. “What if we were individually able to control the spend of our community?” Localising control of tax collection and infrastructure approval would expand trust in government and improve democratic accountability, she said. Coming from the software world, Buttfield-Addison thinks there’s definitely one thing that engineers do better than computer scientists: focus on how technology serves people rather than the other way round. “I’m a big fan of human-centric uses of technology,” he said. He hopes that, in the future, Australian business keeps humans in mind when they innovate, rather than seeking to emulate practices in Silicon Valley or China. Loudon’s focus was not specifically on big ideas, but on transforming the ways we find the people who put them into practice. “Let’s change the story of engineering,” she said, noting that 53 per cent of the volunteers with Engineers Without Borders are women. Changing the ways we talk about engineering and emphasising the way people’s work in the field can align with their values has the potential to change the makeup of the profession and attract a more diverse group of people. In a world where global temperatures have risen by 2ºC or more, McAllum said the important question will be how Australia responds. “The history of colonised Australia is a history of extraction,” he said. The nation needs to change that, creating a future that moves away from over-engineered systems and large centralised infrastructure to one that values transdisciplinary thinking and design. Sixteen-and-a-half-million Australians spend four or more hours each day playing games on some kind of device — including a smart phone — Kwan told the panel. His ambition is to harness this interest and encourage Australians to increase their investment in gamification. “We are a society trending away from industrial economics,” he said, and creative use of gamification offers the possibility of bringing people throughout society together, strengthening connections and enhancing educational possibilities. Shaza Rifi, Engineer, NSW Young Woman of the Year 2018. “If you are in a car accident, would you know what to do?,” asked Rifi. The civil engineer would like our education system to prepare us for life. If she had her way, students would have tech-free days, learn martial arts and start driving lessons much earlier.